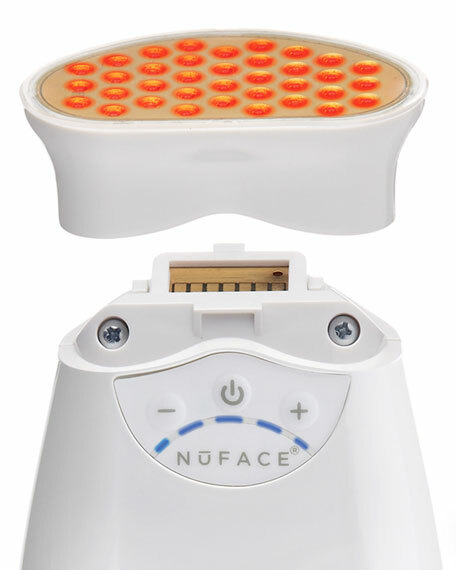 Engineered with advanced LEDs to deliver a precise combination of red and infrared light, the phototherapy wrinkle reducer is an attachment of the NuFACE® Trinity Facial Toning device that is clinically proven to reduce fine lines and wrinkles. Auto shut off after 21 minutes. 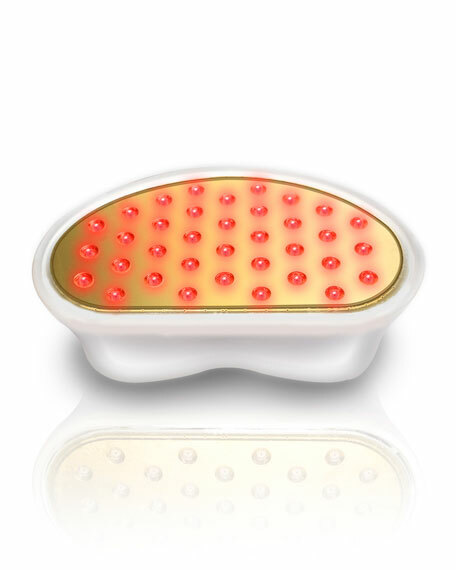 Skin sensor shield detects skins and turns on lights when in direct contact. Please note: Attachment sold separately from device.